Today we’d like to introduce you to Jennifer Brown. It started when I received my very own “Art Table” at the age of 3. Every holiday was filled with new craft supplies and DIY projects. My business foundation started with selling Beanie Babies on eBay at 12 years old and I was hooked on the potential of entrepreneurship. During college, I was making lamps from putting strings of Christmas lights into painted liquor bottles. 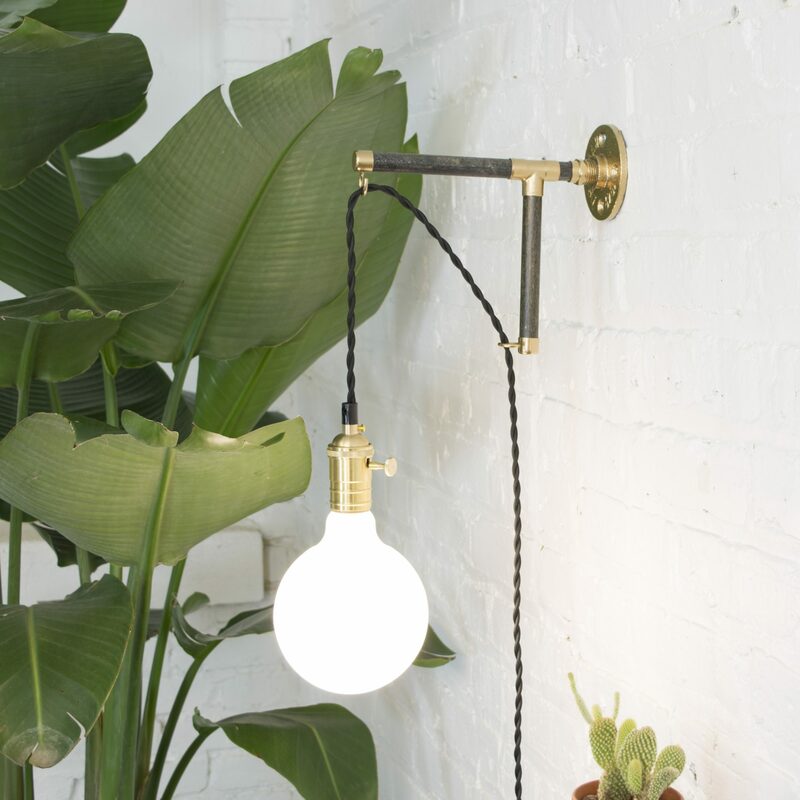 This got me interested in the world of lighting and I saw a niche. After college, my love for making things continued to grow. One day I was following a Pinterest DIY project, making a lampshade out of yarn for my bedroom, and a friend was telling me about this new marketplace called Etsy. I quickly knew it was for me and worth exploring. I took pictures of the light I had just made and created a product listing. I think it took about 1 week to get a sale and my online shop continued to grow from there. After a few years as a side hobby, I decided to focus on turning my Etsy shop into a full-time job by expanding my product scope. 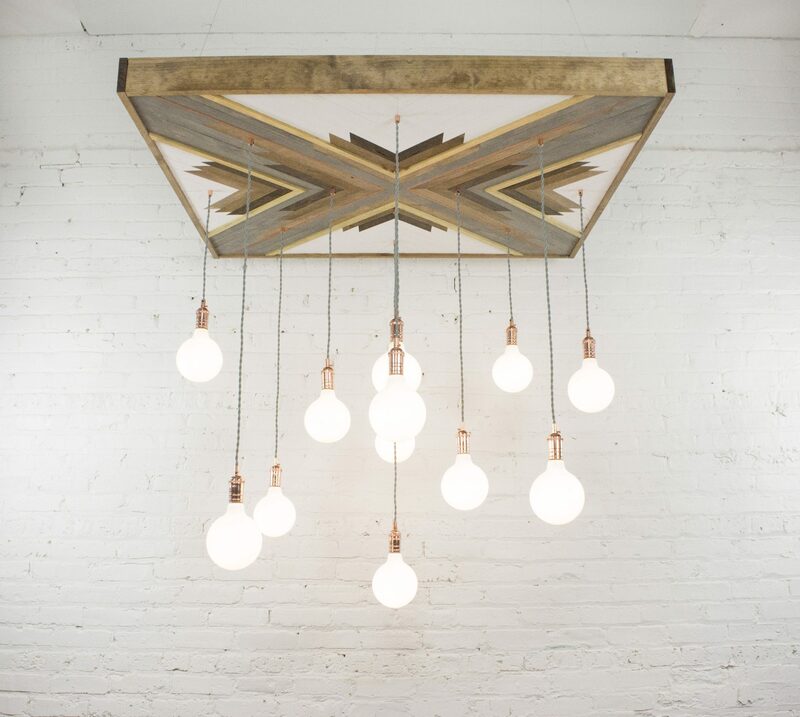 I pulled from a lesson in wiring an electrical socket from high school AP Physics class and thought, “I can do that!” Soon I was wiring together large multi-pendant fixtures and engineering new designs. 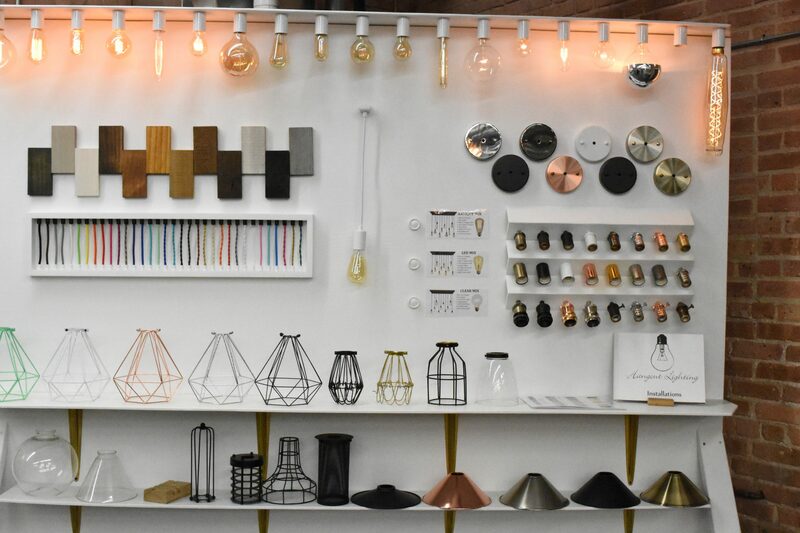 I developed the concept of mix and match components, so I could have a huge product line with a small inventory. 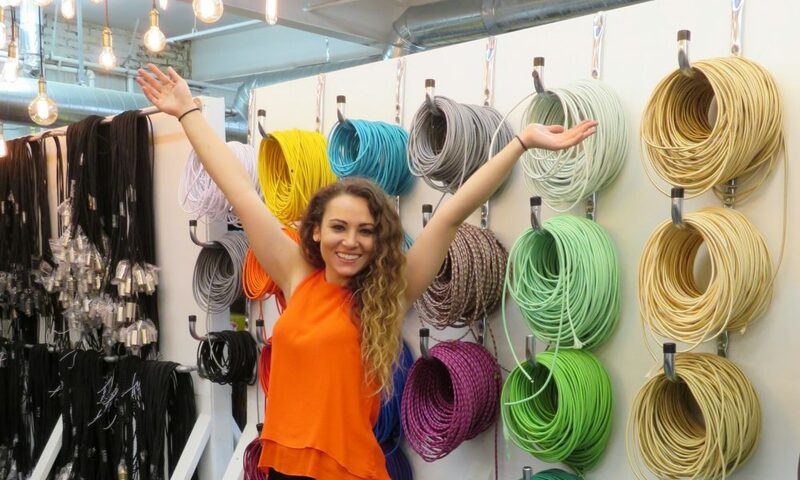 Within a few months, orders were too great to handle on my own and I hired a friend to help assemble fixtures. 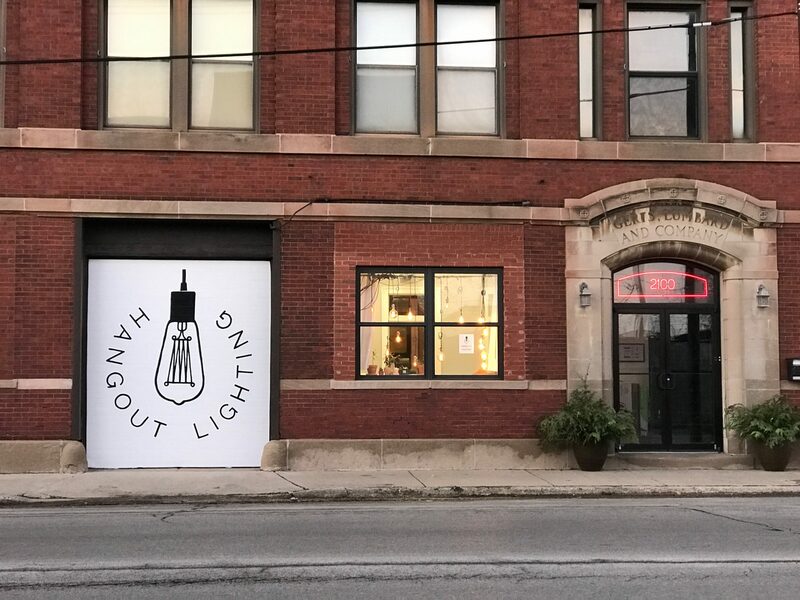 Over the past 4 years, Hangout Lighting has expanded from a spare bedroom to an entire apartment, to a small storefront and recently into a 4,000 square foot industrial workshop and showroom with 10 employees. I think the road has been relatively smooth. The greatest challenge has been learning how to transition from a one-person operation to a larger team while keeping everything organized. I always want to be involved in everything and want to be doing too many things at once, so I think we all spread ourselves too thin at times. Hangout Lighting – what should we know? What do you guys do best? What sets you apart from the competition? Hangout Lighting specializes in decorative light fixtures with infinite customization possibilities. 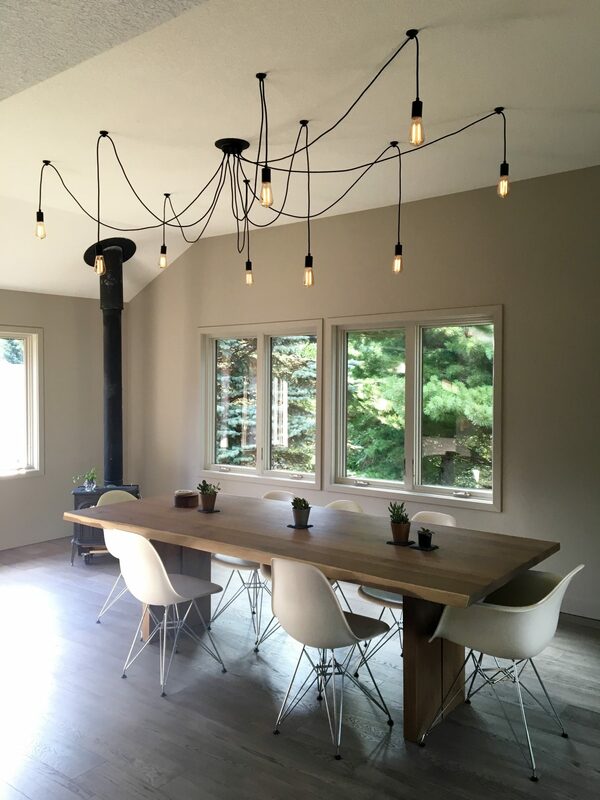 Our unique “design your own” experience using mix and match lighting components, offers one of a kind fixtures at an affordable price, and styles that are flexible enough to fit any residential or commercial space. 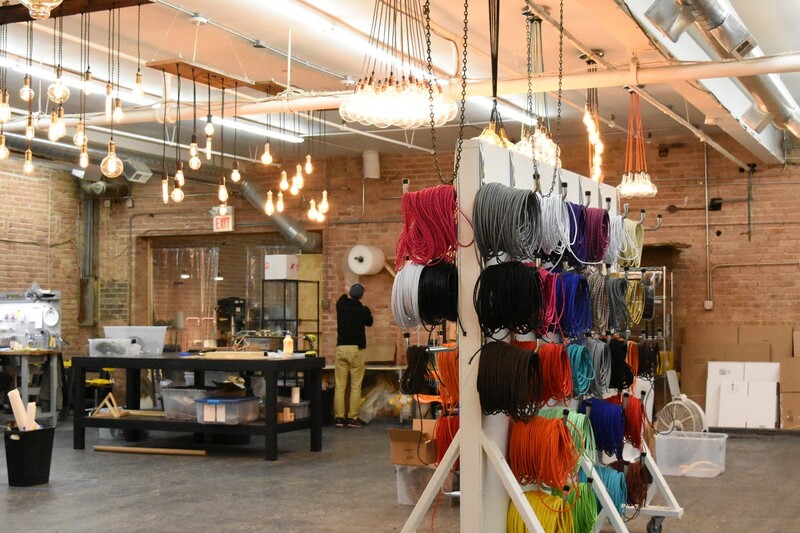 Our huge selection of choices includes, fabric colored wire, industrial cages and shades, reclaimed wood, antique style Edison bulbs and new LED light bulbs. 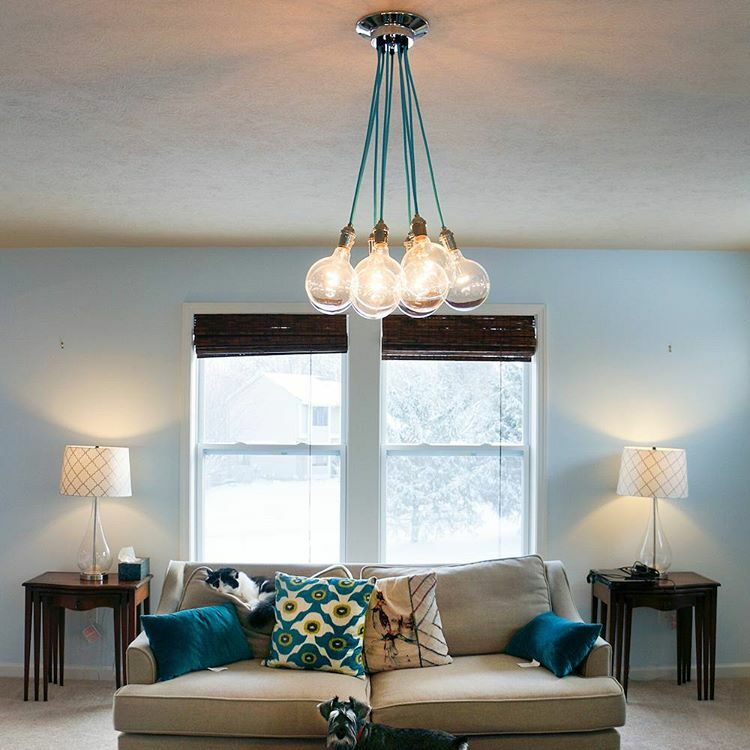 Through our interactive website, users can customize their own pendant lights and chandeliers or browse our inspiration photo gallery of previous installations. Our turnaround time on custom-built fixtures is only 2-5 business days compared to the industry standard of 4-6 weeks. I am most proud of the team that we have built here. 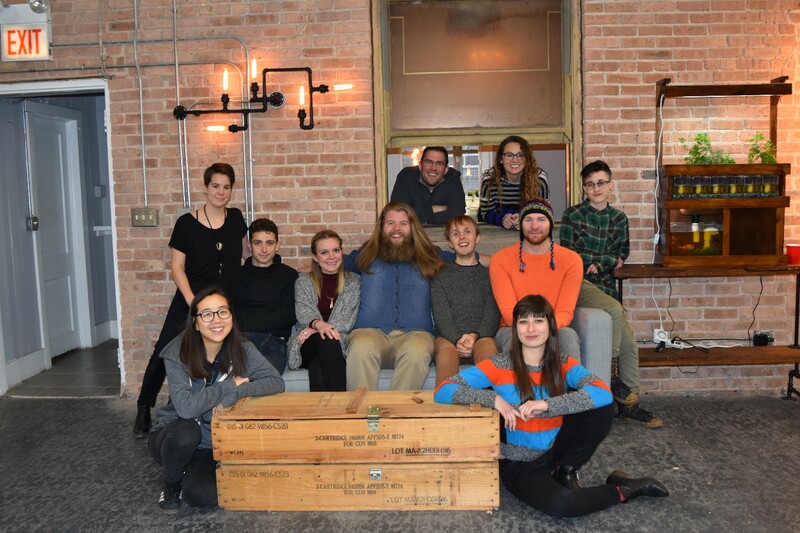 The artistic talent that they bring to work as well as the culture they have helped create is really what makes us who we are. We are all artists and entrepreneurs so there is a real feel of collaboration around here. We love to go to each other’s shows, share tools and tips, and really support each other’s outside projects. I personally define success as being passionate about what you do while bringing joy and inspiration to others along the way. Our shop has been described as a “playground”, where people are excited to come to work every day, this is a success for me.